Robert Samuel Houk was born in New Castle Pennsylvania and attended Shenango Area High School. 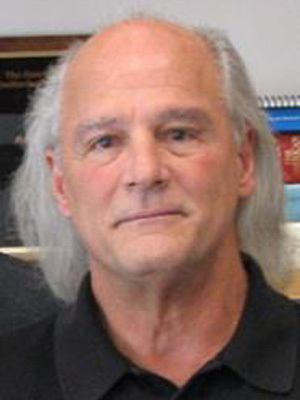 He received the B. S. in Secondary Education from Slippery Rock State College in 1974 and the Ph.D. in Analytical Chemistry from Iowa State University in 1980. His dissertation described the first results from coupling an analytical ICP to a mass spectrometer. He was a postdoctoral associate at the Ames Laboratory USDOE and then joined the faculty in the Chemistry Dpeartment at ISU in 1981. He is presently Professor of Chemistry and an Associate of the Ames Laboratory. His research is in analytical atomic spectrometry, especially ICP-MS, and also in laser ablation electrospray ionization mass spectrometry. Houk has served on various editorial boards, e.g., JAAS and Spectrochimica Acta Part B. He has won several awards including the ACS Awards for Chemical Instrumentation (1993) and Spectrochemical Analysis (2012). Gary M. Hieftje is Distinguished Professor and Mann Chair of Chemistry at Indiana University in Bloomington, Indiana. 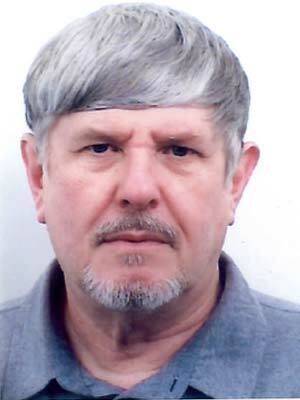 His research interests include the investigation of basic mechanisms in atomic emission, absorption, fluorescence and mass spectrometric analysis, and the development of instrumentation and techniques for atomic, molecular, and biomolecular methods of analysis. He has won numerous awards in the fields of analytical chemistry, chemical instrumentation, and spectroscopy, has held major offices in several scientific societies, has delivered many named lectures, and has served on the editorial boards of many major journals. He is the author of over 600 publications, 13 books, 20 chapters, and 21 patents. To date, 70 students have received doctorates under his direction; many others have received M.S. degrees, and scores of undergraduates and visiting scientists have performed research in his laboratories. 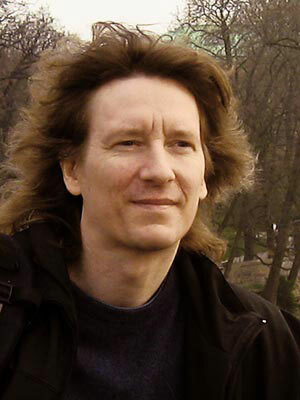 Norbert Jakubowski graduated at the University in Essen/Duisburg and obtained his doctorate (Dr. rer. nat.) in 1991 from the University of Stuttgart/Hohenheim. In 1981 he started his career in the Institute for Analytical Sciences (ISAS) in Dortmund and became the head of the division 1.1 (Inorganic Trace Analysis) of the Federal Institute of Materials Research and Testing in Berlin in 1999. His research is focused on analytical method development for material and life science applications. BAM-Berlin, DE THE QUANTITATIVE ELEMENTAL MICROSCOPE: FOR WHAT IS IT GOOD FOR? 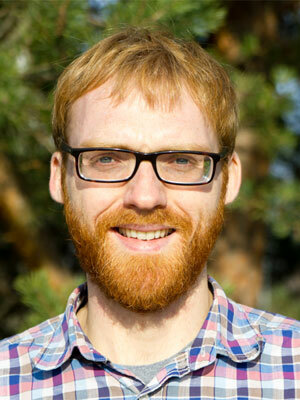 Dr. Björn Meermann is a research associate in the group of apl. 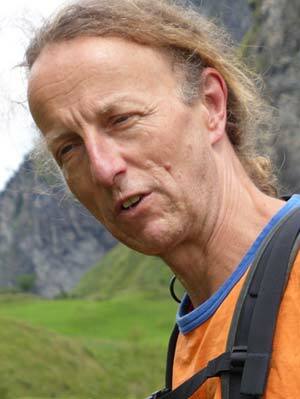 Prof. Thomas Ternes within the Department of Aquatic Chemistry at the Federal Institute of Hydrology (BfG) in Koblenz, Germany since 2012, as well as a “Habilitand” in association with the University of Koblenz-Landau since 2014. He received his Dr. rer. nat. 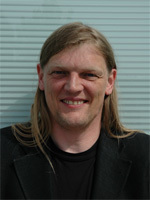 degree in Analytical Chemistry in 2009 from the University of Münster working on technical aspects of hyphenated techniques for speciation analysis of environmentally relevant chemical elements in the group of Prof. Uwe Karst. Afterwards, he worked for almost two years as a Post-Doctoral researcher at Ghent University (Belgium) in the group of Prof. Frank Vanhaecke on the topic of speciation analysis of halogen-based drug metabolites by means of HPLC/ICP-MS and on-line isotope dilution. His current research interests are focused on the topic of nanoparticle analysis by means of AF4/ICP-SFMS in combination with on-line isotope dilution and stable isotope tracers, as well as method development for speciation analysis of chemical elemental species in surface waters by means of HPLC/ICP-MS and CE/ICP-SFMS. In 1982, Russo established the laser spectroscopy group at the Lawrence Berkeley National Laboratory; he continues to be the scientific director of this group. The research addresses laser ablation (LA) fundamental physics with concurrent applied research establishing this technology for real-time spectrochemical analysis. In addition to ICP detection, Russo the research studies light emission from the surface plasma induced at the ablation site. Light collection and spectral analysis are the basis of LIBS (Laser Induced Breakdown Spectroscopy). Most recently, his group demonstrated and patented the use of laser plasmas for real-time measurement of isotopes. The new technology named LAMIS (Laser Ablation Molecular Isotopic Spectroscopy) won 2012 R&D100 and 2013 Strock Awards. The LAMIS technology is a real-time atmospheric pressure method to measure isotope abundance ratios. The technology has advanced to show precision of isotope abundance ratios close to that measured with laboratory based mass spectrometers. Other research by Russo at Berkeley includes co-inventor of a nanowire laser that led to a Science article and patent. He also is co-inventor of a patented process for nano-texturing (ITEX process) thin-films, lead- inventor of the patented ion-assisted pulsed laser deposition (IBAD process) which produced a world record critical current for HTSC (High Temperature Superconductor) materials. Russo has over 320 Scientific Publications, over 270 Invited Lectures, 10 Book Chapters and 27 Patents. Fourteen students have received their PhD degree under Russo’s direction at the University of California, Berkeley. Over 25 international students have performed part of their PhD research in his Berkeley Laboratory. Several scientific visitors and faculty sabbatical members are hosted in his research group every year. 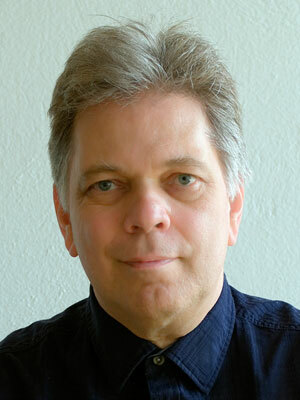 Russo also is founder and president of Applied Spectra, Inc. (ASI). The company is a world leader for analytical spectroscopic instruments addressing commercial applications of laser ablation based on LIBS and ICP analysis. He has grown the company to include core expertise is research, development and manufacture of laser ablation instrumentation and analytical measurement services. With Russo’s leadership, Applied Spectra has transitioned Berkeley research into state-of-the-art analytical instruments that are sold worldwide. ASI instruments are utilized in national and international markets, including academia, national laboratories, industry, energy, environmental and security applications. Jacob Shelley is currently the Alan Paul Schulz Career Development Chair at Rensselaer Polytechnic Institute in Troy, NY. His current research is in the development of new tools for mass spectrometry, which enable rapid detection/identification of analytes in complex matrices. He has authored 35 journal articles, 3 US patents/patent applications, a book chapter, and has given more than 30 invited presentations at national and international venues. Joanna Szpunar graduated from the Warsaw University of Technology in 1986 and obtained her Ph.D (1992) and D.Sc. (habilitation) (2000) from at the University of Warsaw. 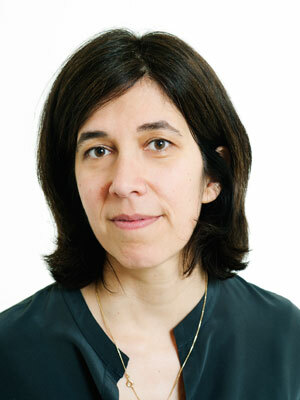 Since 1997 she works at the National Research Council of France (CNRS). In 2007 she obtained the title of professor of chemistry (Poland). 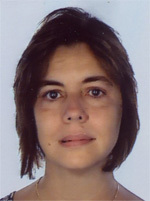 Her research interests concern bioinorganic speciation analysis and hyphenated techniques for metallomics. She was the chairperson of the Winter Conference on Plasma Spectrochemistry in 2013. 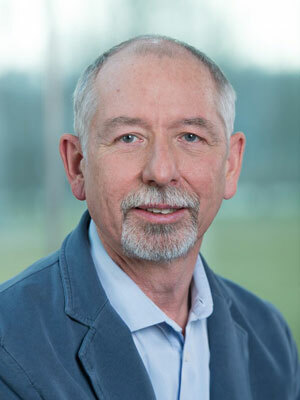 Frank Vanhaecke is Senior Full Professor at the Department of Analytical Chemistry of Ghent University (Belgium), where he leads the ‘Atomic & Mass Spectrometry – A&MS’ research group. His research group focuses on the determination, speciation and isotopic analysis of (trace) elements using ICP-mass spectrometry (ICP-MS). The A&MS groups studies fundamentally-oriented aspects of the technique and develops methods for solving challenging scientific problems in an interdisciplinary context. 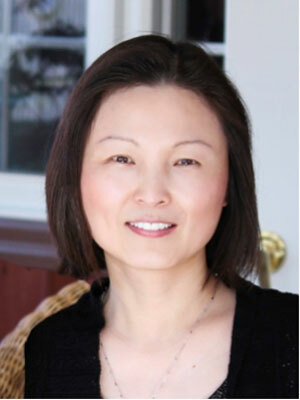 Dr. Lu Yang is a research officer at National Research Council of Canada (NRC, Ottawa, Canada), leading research in applications of inductively coupled plasma mass spectrometry (ICP-MS) and MC-ICP-MS. Her research focuses on the development of the most accurate and precise methodologies for the determination, speciation and isotopic analysis of trace elements using ICP-MS and MC-ICP-MS. The isotopic measurements for mercury, germanium and indium from her lab have been adopted by IUPAC as the best available isotopic composition measurements in the 2011 Table, and the 2011 atomic weights of mercury and germanium are based on her results. Dr. Yang has published over 100 research papers. 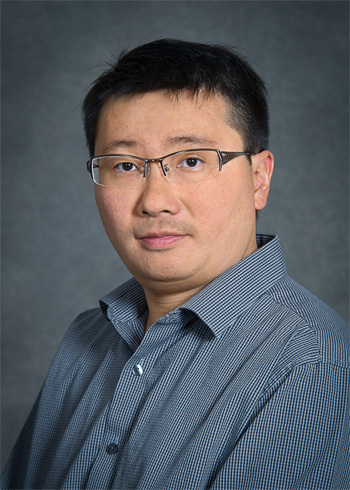 Dr. Yang is a member of the IUPAC Subcommittee on Stable Isotope Reference Material Assessment under the Inorganic Division, and the Commission on Isotopic Abundances and Atomic Weights. She is a NRC’s representative at the Inorganic Analysis Working Group of CCQM (Consultative Committee for Amount of Substance) of the BIPM (International Bureau of Weights and Measures). 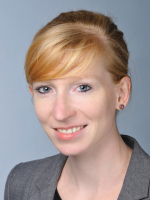 She is an Editorial Board member of JAAS and Spectroscopy. She is a member of RSC and serves as the director of Ottawa Valley for the Canadian Society for Analytical Sciences and Spectroscopy. 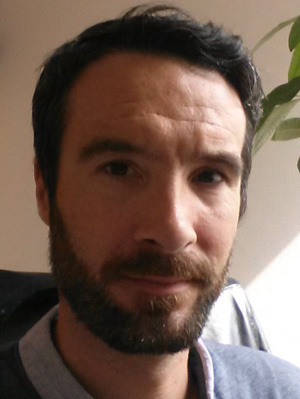 Sylvain Bérail is currently engineer at the French National research center (CNRS). He’s working in the Pluridisciplinary Insitute of Research on Environment and Material (IPREM-LCABIE) at the University of Pau. He started his career working for a private company (Evans Analytical Group) as a GD-MS operator and then as ICP department manager. In 2008 he joined the IPREM institute where he is in charge of the MC-ICP-MS facilities. In addition, he was invited in 2014 as a guest researcher in the NIST (National Institute of Standard and Technology) at the HML (Hollings Marine Laboratory, Charleston SC, USA) to promote Hg isotopic analysis for environmental studies. His scientific interests include the use of non-traditional stable isotopes (Hg,Pb,Sr,…) as a tool for environmental research and food authenticity. This include the development of hyphenations between MC-ICP-MS and specific introduction systems (Laser, chromatography,...) to open new fields of applications for isotopic analysis. 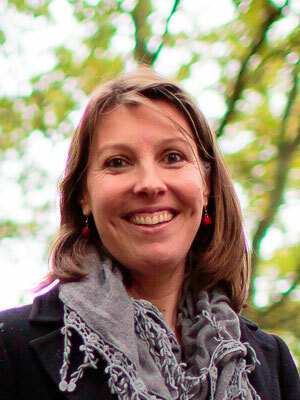 Annemie Bogaerts obtained her Ph.D. degree in chemistry, on “Modeling of a glow discharge plasma” in 1996, from the University of Antwerp in Belgium. She became a Professor of Physical Chemistry in 2003, at the same university, and is head of the interdisciplinary reseach group PLASMANT. Her current research activities include the numerical modeling of various types of plasmas, as well as modeling plasma-surface interactions, for analytical chemistry, materials science, environmental and medical applications, as well as experiments for environmental and medical applications. Bernd Bodenmiller Institute of Molecular Life Sciences, University of Zurich, Switzerland Bernd Bodenmiller (1979) studied biochemistry at the University of Bayreuth and ETH Zürich and obtained his PhD for his work on system-wide signaling network analysis in the laboratory of Ruedi Aebersold at ETH Zürich. For his postdoctoral training, he joined the laboratory of Garry P. Nolan at Stanford University. There he developed methods for the high throughput analysis of signaling network states by mass cytometry, a technology that allows quantifying up to 100 proteins and signaling molecules at the single cell level. In 2012, he became group leader and in 2013 SNF/ERC assistant professor at the Institute of Molecular Life Sciences at the University of Zürich. Currently his group is developing methods for highly multiplexed imaging by mass cytometry to unravel how trans-cellular signaling network interactions in the tumor microenvironment drive cancer development and ultimately might be exploited for therapeutic targeting. George Chan is currently a Project Chemist at the Lawrence Berkeley National Laboratory. Prior to joining LBNL in 2012, he was an Assistant Scientist on the research faculty in the Department of Chemistry at Indiana University. He received a Ph.D. degree in Analytical Chemistry under the mentorship of Prof. Gary Hieftje at Indiana University in 2007. He has over 50 scientific publications and holds one patent. His research interests lie in analytical chemical measurement and instrumentation, with emphasis on the use, characterization and understanding the basic fundamental processes, and further development and improvement of various plasma-based spectroscopies in modern multidisciplinary research. Olivier F.X. Donard is a research scientist at the French CNRS. His expertise is directly related with the development of instrumentation coupled mainly to ICP/MS to study the fate and effect of trace elements in the different compartments of the environment. He is currently the director of the “Center of Mass Spctrometry for Reactivity and Speciation Sciences” at the IPREM in Pau (France). University of Pau, FR Environmental challenges unravelled by hyphenated systems using ICP as a ionization sources for quadrupole, high resolution and Multicollector MS.
Carsten Engelhard is currently an assistant professor for analytical chemistry at the University of Siegen, Germany. He received his Dr. rer. nat. degree from Prof. Karl Cammann and Dr. Wolfgang Buscher and performed postdoctoral research with Prof. Gary Hieftje. 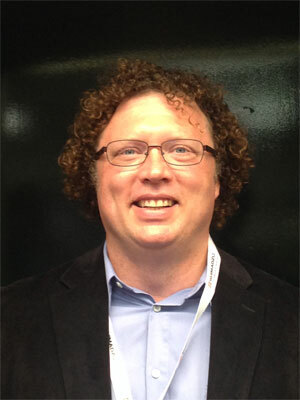 Carsten is a member of the Editorial board of JAAS. His research interests revolve around analytical chemistry with a special focus on ultra trace elemental and molecular analysis, direct surface analysis, single nanoparticle detection, plasma sciences, and instrumentation. Examples of his research include a) spectroscopic studies of novel plasma sources for use in e.g. ambient desorption/ionization, b) application of plasma-based ambient desorption/ionization sources for direct bioanalysis, and c) development of novel ICP-MS methods for nanomaterials characterization. 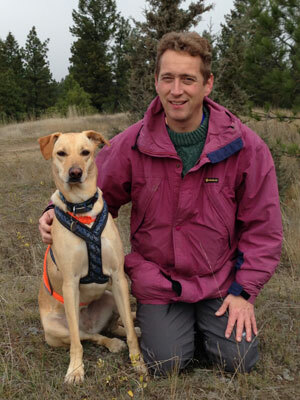 After receiving his PhD in 1995 at University of Essen, Germany in Environmental Analytical Chemistry Jörg went to Canada supported by the Alexander von Humboldt Foundation. Since 1997 he worked in Scotland at the University of Aberdeen, where he founded TESLA (Trace Element Speciation Laboratory). His work on the analysis of arsenic speciation was influential for the introduction of a maximum contaminant level in rice by the WHO and the EU in 2015. At present, he has published more than 200 peer-reviewed papers in more than 70 journals which gained more than 10,000 citations. He is on the JAAS Editorial Board and recently he has received the European Award for Plasma Spectrochemistry 2015 and the RSC Interdisciplinary Prize 2016. 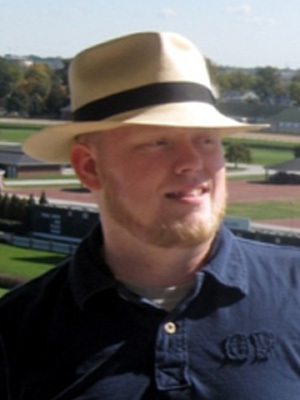 Alexander Gundlach-Graham earned his Ph.D. in 2013 from Indiana University for the development and characterization of distance-of-flight mass spectrometry (DOFMS). Following Indiana University, Alex received a Marie-Curie Fellowship to complete postdoctoral research in the lab of Prof. Detlef Günther at ETH Zurich. Alex’s current research focuses on ICP-time-of-flight mass spectrometry and its application for high-resolution laser-ablation ICPMS imaging and nanoparticle detection and sizing. Heidi Goenaga-Infante is Principal Scientist and Team Lead er of the Inorganic Analysis team within the Science and Innovation Division at LGC. Her key expertise lies in trace element speciation analysis, metallomics research, combi ned use of elemental and molecular mass spectrometry, size-based element fractionation and the characterisation of “speciated” reference materials. Heidi is the UK representative at the Inorganic Analysis Working Group of the international Consultative Committee for Metrology in Chemistry (CCQM). She is the leading author of over 70 scientific peer reviewed scientific papers. LGC Limited, Teddington, UK Speciation strategies for Cr in high carbon matrices using hyphenated QQQ-ICP-MS: Towards the production of new ‚speciated’ reference materials. His research focuses on the development and improvement of analytical methods with emphasis on inorganic analysis. The quantification of trace elements and the identification of trace element species are key competences. The developed methods are then applied to answer questions and solve problems related to human health and the environment. Biotransformation of arsenic compounds plays a central role in my research. 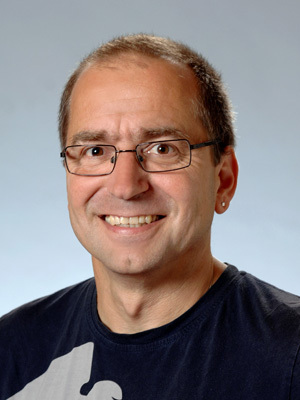 Bodo Hattendorf is Senior Researcher in Detlef Günther’s Group of Trace-Element- and Microanalysis at ETH Zürich, where he also had earned his PhD in 2002. Research interests are fundamental and applied studies concerning for example spectral and non-spectral interferences in (LA-)ICPMS, improving instrumentation in elemental and isotope mass spectrometry techniques with respect to sensitivity, selectivity and reliability and ultimately their application to improve analyses of real world samples. Dr. Johanna Irrgeher is currently postdoctoral researcher in the field of analytical chemistry at the Helmholtz Centre for Materials and Coastal Research Geesthacht in Germany with her research focus set on analytical method development for elemental and isotopic analysis in the field of analytical ecogeochemistry dealing with aquatic and terrestrial ecosystems. 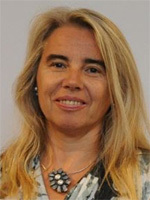 Maria Montes-Bayón holds a permanent position as Associate Professor in the Analytical Chemistry Area of the Department of Physical and Analytical Chemistry at the University of Oviedo since April 2008. 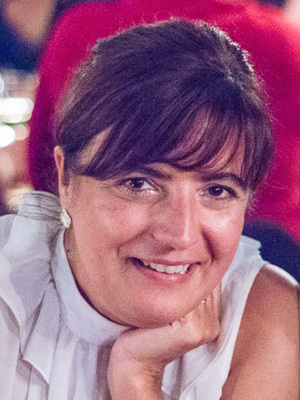 She did her Master Thesis at the University de Plymouth (UK) and got her PhD in 1999 in Analytical Chemistry within the University of Oviedo supervised by J. I. Garcia Alonso and A. Sanz Medel. In 2000, she joined the research group of Prof. Joseph A. Caruso in the Department of Chemistry at the University of Cincinnati, Ohio (USA) as Postdoctoral Fulbright Fellow until July 2002. In August of the same year she got back to the University of Oviedo as Research Scientist (Ramón y Cajal) in the Analytical Spectrometry Group until 2007. In 2008 she obtained the position of Associate Professor (accreditation as Full Professor, 2014). She is co-author of more than 100 original research publications and reviews, as well as several book chapters. She participates in different research projects (national and regional) through which the research in funded. His current research interests are focused on fundamentals and applications of atmospheric and low pressure GD spectroscopy, LIBS and LA-ICP-MS. 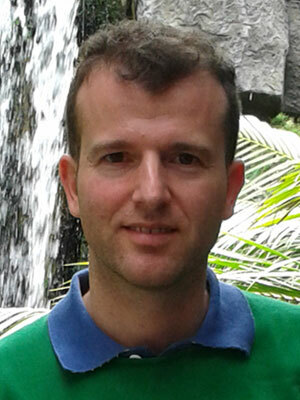 Moreover, Jorge is co-author of more than 60 scientific articles and several book chapters. 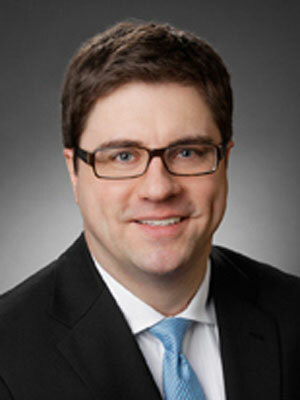 Steven Ray, Ph.D. is currently the Winkler Assistant Professor of Chemistry in the Department of Chemistry, State University of New York at Buffalo. Steve received his Ph.D. from Indiana University under the direction of Prof. Gary Hieftje, then worked as the Senior Mass Spectrometrist for IU before taking a research faculty position in the Laboratory for Spectrochemistry at IU, and finally moving to UB in 2015. Dr. Ray has published more than 80 manuscripts and book chapters, and holds 8 patents. He serves on the Editorial Board of the Journal of Analytical Atomic Spectrometry, and the advisory boards of Applied Spectroscopy, Analytical and Bioanalytical Chemistry, Spectrochimica Acta, Part B, and Spectroscopy magazine. Dr. Ray was the recipient of the 2016 Young Plasma Spectrochemist Award and 2014 SAS Lester Strock Medal, and is a Fellow of the Royal Society of Chemistry. His research interests involve novel aspects of analytical instrumentation, including distance-of-flight mass spectrometry, atomic spectroscopy, ambient mass spectrometry, plasma spectrochemistry, and metallomics methodologies. Mark is an isotope geochemist with particular interest in the development and application of novel techniques for trace metal isotope analyses. He is originally a chemist by training, with undergraduate studies at the Universities of Marburg and Heidelberg. 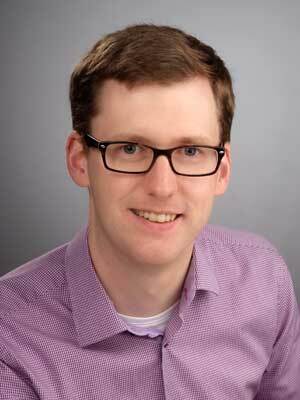 His career in geochemistry commenced with a PhD project at the Max-Planck-Institute for Chemistry in Mainz. This was followed by stints at the Universities of Michigan and Münster, and the ETH Zurich. He joined Imperial College London in 2005 and established the department’s MAGIC Research Centre (MAss spectrometry and isotope Geochemistry at IC London), which now encompasses a highly diverse team of 30 researchers. Dr. Frank von der Kammer completed his PhD in 2005 with highest honour at Hamburg University of Technology, in the Department of Environmental Science and Technology. He is currently senior scientist and lecturer, the Head of Nanogeosciences Division and vice Head of the Department for Environmental Geosciences at the University of Vienna. In the past, Frank has acted as a visiting Professor at the University of Pau and at the University of Aix-Marseille, France. 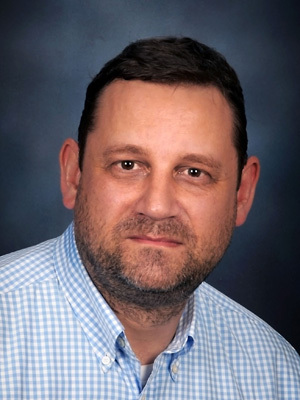 He is member of the editorial board of the RSC journal Environmental Science: Nano, supports the OECD Working Party of Manufactured Nanomaterials and CEN/ISO in standardizing analytical methods for nanoparticles. He has published more than 70 papers on Environmental Colloid Chemistry, Nanoparticle Behaviour, Characterization and Application and the general Environmental Chemistry. Frank’s research interests include environmental colloids, their dynamic behaviour and interaction with trace elements, natural nano-scale processes, nanoparticle characterization in the environment, food and cosmetics, engineered nanoparticles in the environment and the application of field flow fractionation and (sp) ICP-MS to characterize nanoparticles in complex samples. 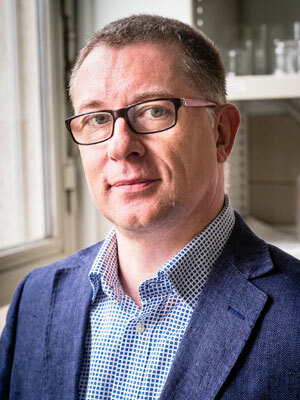 Johannes van Elteren has been working in several research institutions and has made contributions to various analytical disciplines such as chemical speciation, radiochemistry and microanalysis. Currently he is employed as a senior scientist at the National Institute of Chemistry, Ljubljana (Slovenia) where he has specialized in laser ablation-based imaging techniques (www.AICO.si). Thomas Walczyk is an Associate Professor at the Department of Chemistry at the National University of Singapore (NUS), a globally leading university centered in Asia. He studied General Chemistry at the University of Regensburg, German, where he received his PhD in Analytical Chemistry and Isotope Sciences in 1994 as a PhD scholar of Klaus Heumann. 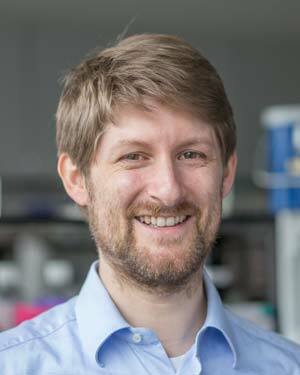 After 13 years of Life Science research at ETH Zurich at the Laboratory of Human Nutrition he joined NUS in 2007 where he is heading NutriTrace@NUS, a research group dedicated to the exploration of mineral and trace element metabolism in animals and humans using stable isotope techniques. Isotope ratio analysis by inorganic mass spectrometry and isotope dilution mass spectrometry have been at the center of his research for more than 25 years including aspects of chemical metrology. Due to his track record and competence in isotopic analysis he has been serving the Commission of Isotopic Abundances and Atomic Weights (CIAAW) of the International Union of Pure and Applied Chemistry (IUPAC) in various positions since 1998 and acts as an expert, consultant and advisor to several national and international institutions including the International Atomic Energy Agency (IAEA). National University of Singapore, SG Uncertainty Budgeting for Dummies – who is afraid of Monte Carlo Techniques? 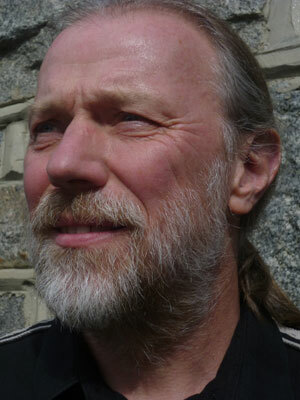 Wolfhard Wegscheider is Professor of General and Analytical Chemistry at the Montanuniversitaet Leoben, Austria. He received his education from the Graz University of Technology majoring in Technical Chemistry with a specialisation in Biochemistry and Food Chemistry. His diploma thesis and doctoral thesis were in Analytical Chemistry with an emphasis on trace analysis and environmental analysis. As Fulbright Scholar he worked in Denver, CO, mainly on energy-dispersive X-ray fluorescence spectrometry. Much of his research centers on the development of chemometric procedures for analytical chemical problems. 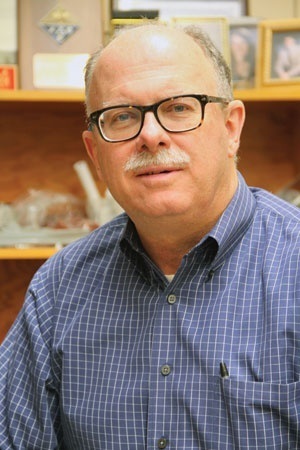 He is co-author of the textbook on Analytical Chemistry featuring the DAC FECS-Curriculum and a member of the editorial board and contributor to the Encyclopedia of Analytical Sciences (Academic Press). 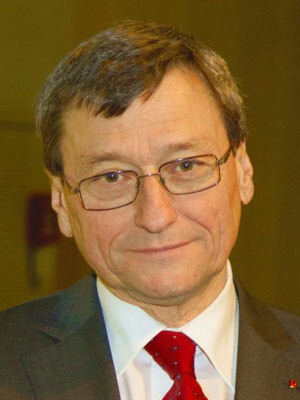 W.W. is member of several learned societies such as GDCh, GOECh, Co-operation on International Traceability in Analytical Chemistry (CITAC) and EURACHEM where he is also founding member of the Working Group on Education and Training, of the Working Group on Measurement Uncertainty and Traceability. In both, EURACHEM and CITAC he also served as Chairman. After a term as President he currently is Member of the Board of Directors of the Austrian Society of Analytical Chemistry – ASAC. In 2010 he has been appointed Fellow of the International Union of Pure and Applied Chemistry (IUPAC). 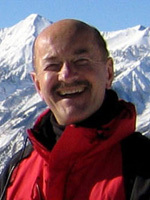 He is a consultant to the Austrian Federal Ministry for Agriculture, Forestry, Environment and Water Management, a lead auditor in the Austrian Accreditation of Laboratories System and an Editorial Advisor of Journals such as MIKROCHIMICA ACTA, SPECTROCHIMICA ACTA ELECTRONICA, CHEMOMETRICS AND INTELLIGENT LABORATORY SYSTEMS and ACCREDITATION AND ANALYTICAL QUALITY ASSURANCE. From 1995 to 2001 he served as Dean of Graduate Studies of Montanuniversitaet Leoben, and from 2003 to 2011 as Rektor (President) of this Institution. Presently he is chair of the Board of Trustees of OeAD GmbH, the Austrian Agency for International Cooperation in Education and Research. W.W. is member of Statistics Committee of AOAC International for the period 2016-2019. He is married to Susanne, a pharmacist and has one son, Stefan, two daughters, Beate and Eva, and three grandchildren. Michael Wieser is an Associate Professor of Physics in the Department of Physics and Astronomy at the University of Calgary. Michael and his graduate students are working with the isotopic compositions of molybdenum and copper to explore topics including the long-lived double beta decay of 96Zr to gain insights into the mass of the electron neutrino; the molybdenum isotopic composition of ground and surface waters to investigate the impact of industry on the environment; and copper in living systems to study how changes in metabolic processes may affect the isotopic composition of copper. The laboratory employs both thermal ionization and multiple collector inductively coupled mass spectrometry and is actively pursuing new ways to implement isotopic tools in new areas. Michael Wieser has been actively involved with the IUPAC Commission on Isotopic Abundance and Atomic Weight since 2001 www.ciaaw.org.